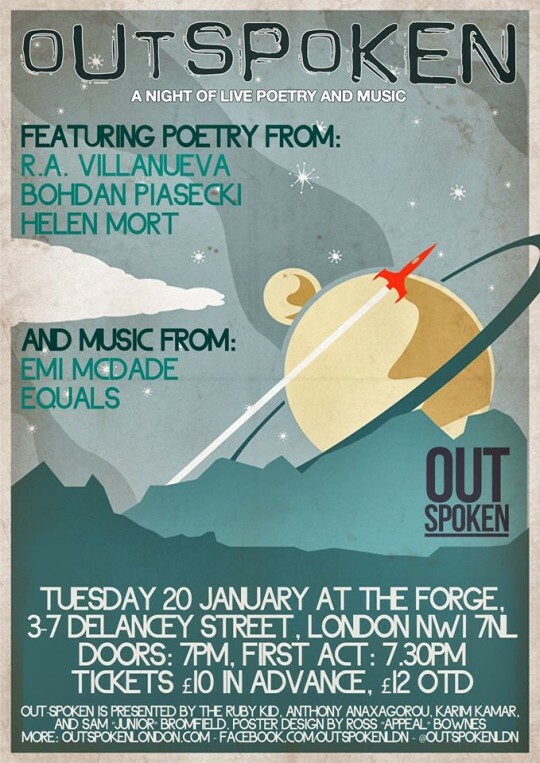 The guys have another amazing line up of live music and poetry at this month’s Outspoken. Features from Music is Remedy favourites Adam Kammerling and Chimene Suleyman are worth the entry fee alone. As usual the Anthony Anaxagorou, The Ruby Kid and Karim Kamar will all be on hand to oversee proceedings. A great night in store! 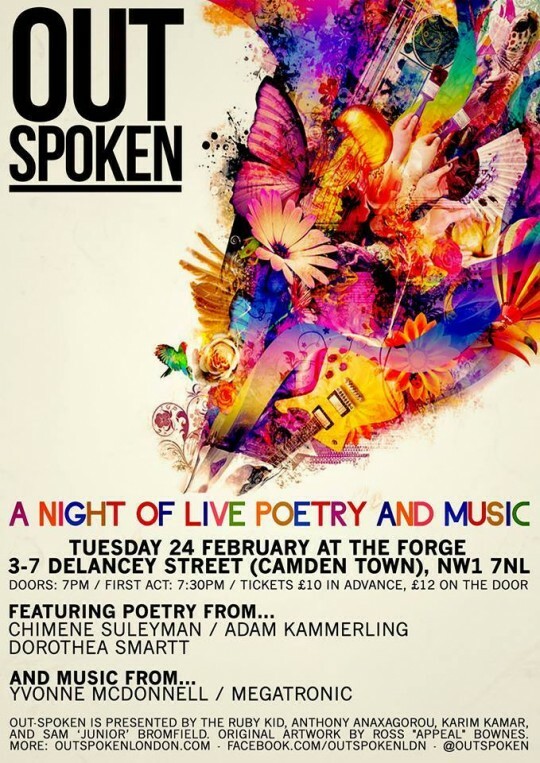 Outspoken boys are back at The Forge in Camden to kick off the 2015 with another evening of high quality spoken word, poetry and live music. Led by the skilled wordsmiths The Ruby Kid and Anthony Anaxagorou along with the composer and multi-media pro Karim Kamar Outspoken has established a reputation as one of the finest events on London’s live Music circuit. Expect immense performances and wonderful company in the heart of North London. Great to see Mangaliso Asi back. He’s a lyricist I have always had a lot of respect and time for with a vocal tone and flow that is quietly authoritative. He is a real HipHop man. 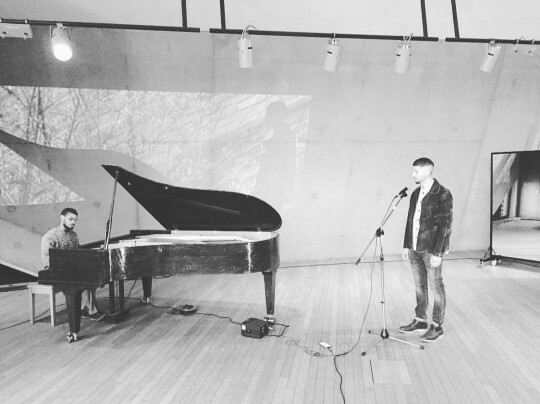 Here he teams up with another Music is Remedy favourite pianist Karim Kamar for a live composition performance of his track “Blissfully Ignorant”. 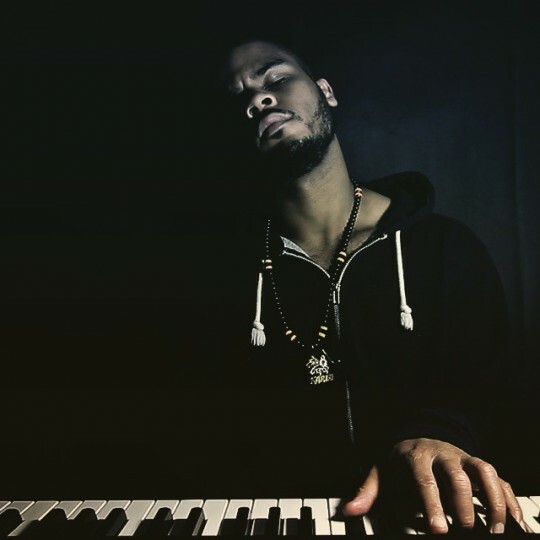 Karim’s playing on the piano compliments Mangaliso’s flow and wordplay perfectly creating a performance where you do hone in on and listen to the lyrics. There are far too many poor MC’s out there and not enough quality, good to have you back Mangaliso. Music is Remedy is all about UK music so it isn’t really a platform for me to talk about my love of D’angelo and how much i have enjoyed getting stuck into his new album over Christmas, that is until someone chooses to take one of the strongest cuts off of the album (not my favourite though) and cover it in their own special way, will Karim Kamar please stand up. 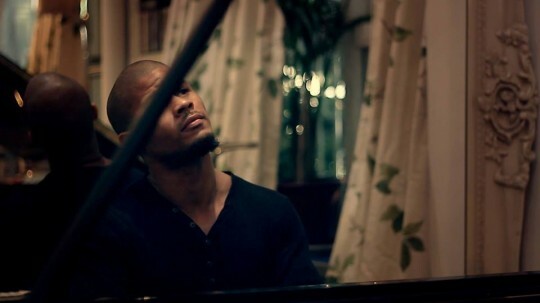 The superb pianist takes to the keys and produces this beautiful arrangement of “Real Love” taking it from the spanish soul fest ballad found on the album and transforming it into an epic soul fueled classical masterpiece. He shows off his skills to the fullest and i’m sure it’s a rendition that any real D’angelo fan and the man himself would appreciate. Masterful work sir! If you like what you hear download Karim’s new album ‘Songs-Without-Words’ here. Something special and epic from Karim Kamar. As the pianist and composer prepares for the launch of his first collection of original compositions he uploaded this performance to give you a taster of what to expect. It is a wonderful piece delivering a range of emotions and some lovely chord choices and tones. Without question he shows he is truly a master of his craft and his forthcoming collection will not just appeal to classical and spoken word fans but lovers of music. 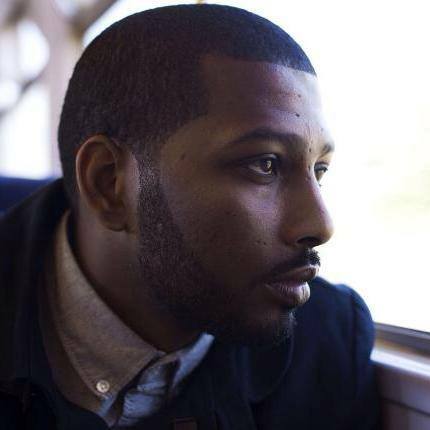 Tickets are still available for Karim’s launch tomorrow night that will feature as well as Karim Music is Remedy favourites Sabrina Mahfouz, Anthony Anaxagorou The Ruby Kid and more. Get your’s here. 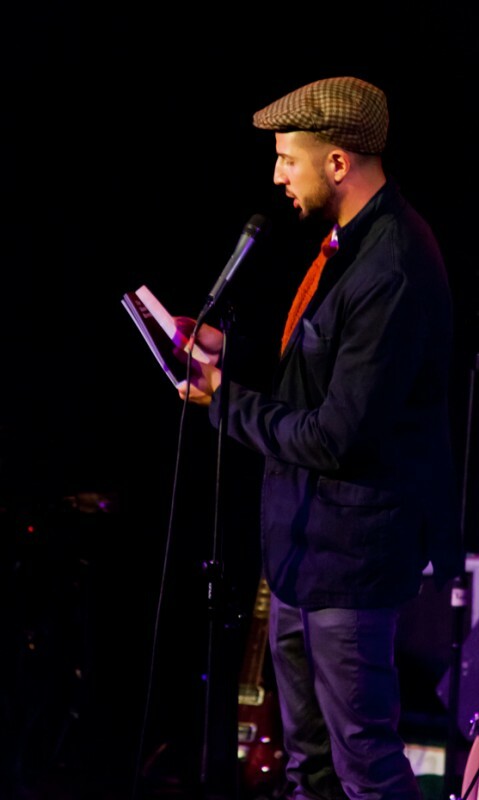 Highlights from the most recent Outspoken event. As always the calibre of their line ups are second to none and full of quality. Snipets here of Jasmine Cooray, Chris Redmond and one of our favourites Hollie McNish show you just what to expect at an Outspoken event. Enjoy and make sure you get down to the next event details here. Once again Anthony Anaxagorou drops some realness finding words to speak about the harsh realities of social media and the pressures it places on people. Makesure you give it a good listen more then once you’ll find a new gem of brilliance that you missed the first time you heard it. Highlights from another ram packed quality Outspoken Night. The team behind the night The Ruby Kid, Karim Kamar and Anthony anaxagorou can do no wrong and to be fair when there is a consistent high standard and eclectic mix of performers why would they. Here are some snippets of Music is Remedy Favourites Rhythm of Men and Sabrina Mafhouz as well as the awesome Josh Osho. Get to know about one of the events fast emerging as one of the strongest nights on the circuit. Tickets for the may night are on sale here.